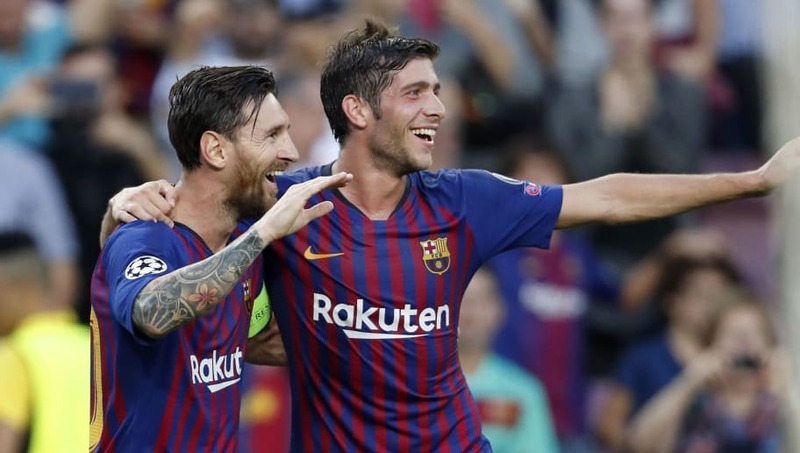 ​Sergi Roberto believes that Barcelona are still a 'great team' even in the absence of their talisman Lionel Messi, but admits it has been difficult for them without their talisman. Messi started the season in typically brilliant form, scoring 12 goals in 12 appearances before fracturing a bone in his forearm last month. In his absence, ​Barcelona have won four out of four in all competitions, although they have required last-minute winners in each of their last two matches, against Cultural Leonesa in the Copa del Rey and against Rayo Vallecano in La Liga. "Without ​Leo we aren't so strong, but we have shown that we are a great team," said ​Roberto ahead of Barcelona's Champions League clash with Inter on Tuesday, quoted by ​Marca. "He is happy to be with us again and it's good for us that he has travelled. We were scarred by his absence and it's normal that it affected a team like ours. "Luckily we were able to win the games without him and I don't know if he's going to play, but we're happy to have him here." ​Messi has travelled with the Barcelona squad to Milan, but it seems unlikely that he will be risked against the ​Nerazzurri. La Blaugrana have taken maximum points from their first three Champions League matches to put them in command of Group B. They will qualify for the knockout stages with a draw on Tuesday, and they will qualify as group winners with a victory. Barcelona host Real Betis in La Liga on Sunday, before the international break gives Messi time to fully recuperate.